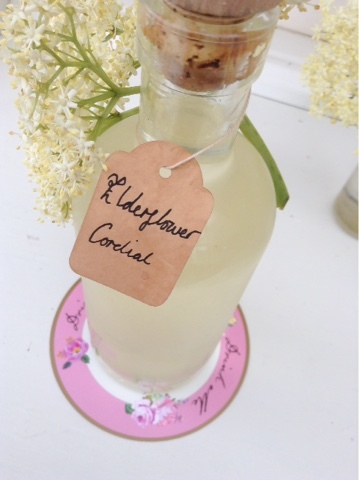 So I've finally perfected my elderflower cordial recipe, and guess what? I'm going to share it with you lovely lot, as well as some fun things you can make with it! 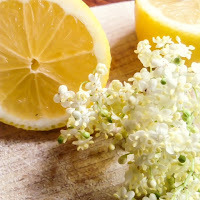 You will need: 20 elderflower heads, 3 lemons, 1000ml water and 1kg of sugar. Plus sterilised bottles, a jam muslin, a large glass bowl, large sterilised jug and a heavy bottom pan. 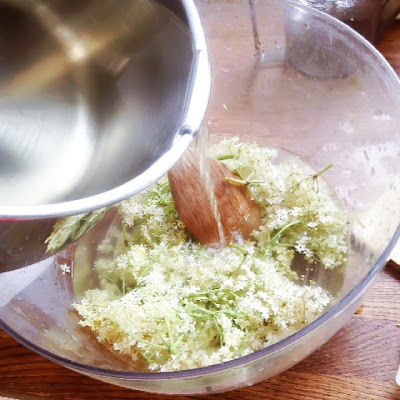 Clean your elderflower heads in a bowl of water, let them soak for five minutes so all debris comes away, then shake gently and place in a clean glass bowl. It is hugely important that the bowl is glass or plastic, as if it is in metal it will start to ferment. Next you want the zest and juice of three lemons, the better the quality the better the cordial will taste! I know three lemons may seem like a lot but trust me! Next, pour your water and sugar into your saucepan and heat gently till all the sugar has dissolved, you don't want to boil it. 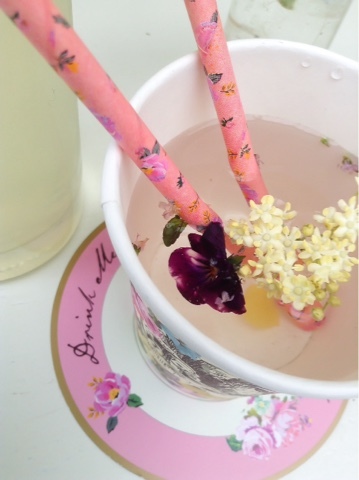 Then pour your sugar syrup over the flower and lemon mix and leave to steep over night. You may want to pop a towel over the top. Finally sterilise a large jug and your bottles. 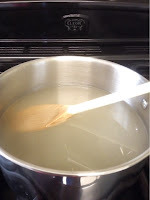 Pour the mixture through a jam muslin into the jug, don't squeeze it, just let it drip. Then you are ready to pour into bottles! This mix should make around 2L, and will keep in the fridge for a few weeks. If you're wondering what you're going to do with it all, then you can give some to your friends, or you can read my next post where i'll be sharing my favourite way to use it! 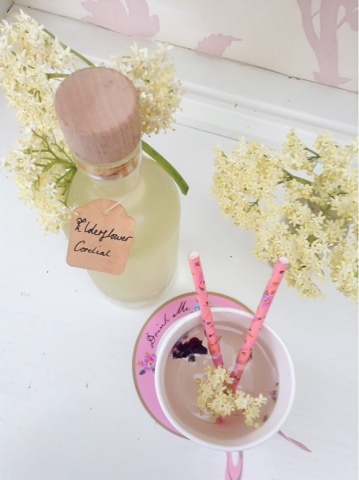 I was über lucky to win a gift set the other week which was a lovely surprise when I got home from my hols! 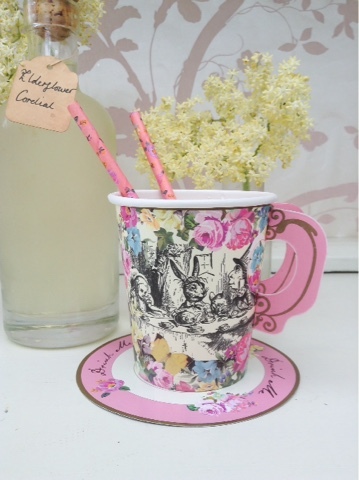 Will be sharing more pics of it all soon when I throw my mad hatters tea party! Hope everyone is having a lovely week end!